For five days in May, hundreds of locations around London give themselves over to the discovery and celebration of craftsmanship in every sector of making – from Britain and around the world. From the smallest off-the-beaten-track atelier to the storied livery halls of ancient makers’ guilds, the shop floors of luxury retailers to the Houses of Parliament, London Craft Week takes people on a journey of discovery into the capital’s most creative spaces. Launched in 2015 and now in its fourth edition, London Craft Week is the only festival of its kind in the world. Its packed calendar of events includes behind-the-scenes demonstrations, hands-on craft workshops and a programme of talks, interviews and discussions featuring some of the most fascinating individuals working in global craft today. More than 200 events over the week span a vast spectrum of craft disciplines, from jewellery and leathercraft to printmaking and carpentry, and involve both established makers of global standing including the likes of Tom Dixon, Bill Amberg and Georg Jensen – and emerging talents on the cusp of their careers, such as the ceramic artist and Woman’s Hour Craft prize winner Phoebe Cummings, and the 2018 Arts Foundation Award winner and New Craftsmen glassblower Jochen Holz. 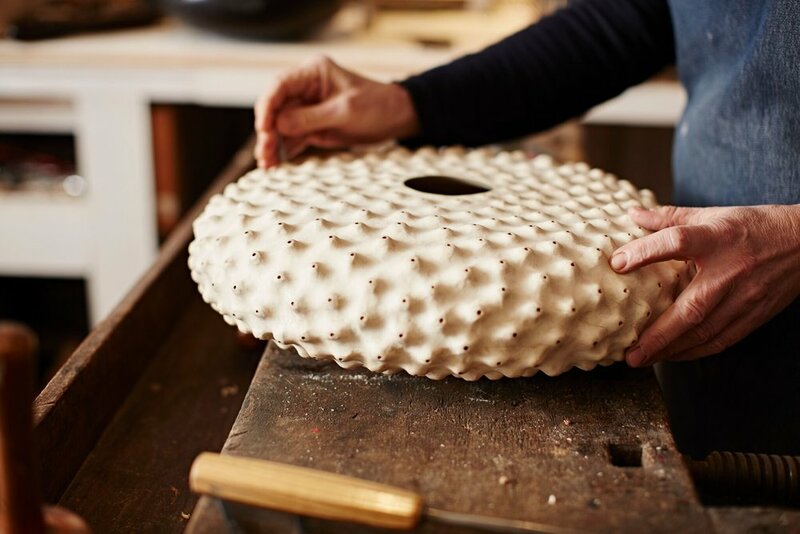 By going beyond the static beauty of an object to the dynamic story behind its making, London Craft Week aims to highlight and celebrate every dimension of craftsmanship: material and technique, talent and imagination.